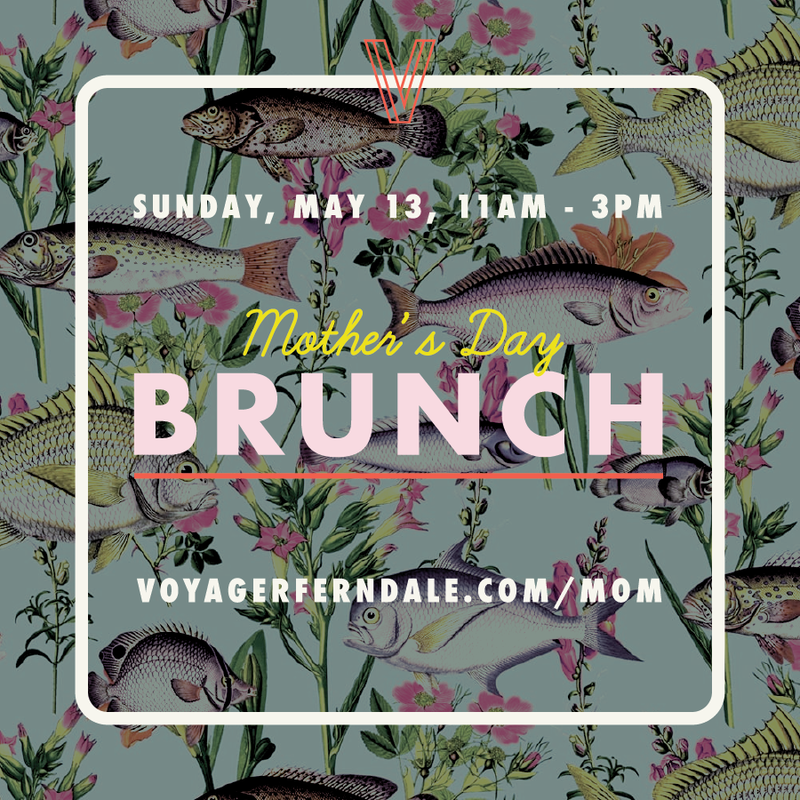 In all seriousness, what better way to show Mom some love than an invite to a BRUNCH showcasing the finest fish and seafood the world's waters have to offer. Smoked & cured fish, Chilled & marinated shellfish, oysters from coast to coast, and so much more (full menu coming soon). Sip on Voyager versions of your favorite BRUNCH cocktails, plus a selection of bubbly from rosé to champagne. Reservations in the dining room. Walk-ins at the bar. To book your party, email eli@voyagerferndale.com.